I never though of incorporation of finger print technology in mobile phones. Actually, I was answering few questions in Yahoo! Answer and I encountered a question relating to fingerprint lock application for mobile phones. My curiosity forced me for Google Search and I gathered interesting information. Perhaps, Motorola Atrix is the first phone to come with finger print technology. A 1cm-wide scanner is fitted to the Motorola Atrix which will scan the finger of the user. It will require the owner's fingerprint to be scanned before it will allow anyone to access the web, play games or even make a call. In the mobility, biometric fingerprint reader is the latest device intended to protect phones from theft and misuse. LG Nitro HD is seemed as heavy hitters in the Android camp. The phone is expected to be running on Android Gingerbread OS. It has 1.5GHz dual core processor.The device is a herculean with integration of latest software and hardware compoenents. Wideband Code Division Multiple Access (WCDMA) is third generation air interface, a type of 3G cellular network. W-CDMA is the technology behind the 3G UMTS standard and is allied with the 2G GSM standard with the International Telecommunication Union (ITU). A speed up to 384Kbps can only be reached even if operator is providing more than that. WCDMA is commonly referred to as 3G. Universal Mobile Telecommunication System (UMTS) is a 3rd generation mobile cellular technology. It enables transmission of text, voice, video, and multimedia with up to 2Mbps speed. UMTS used WCDMA and other air interfaces for data transmission. One can say UMTS is a full-fledged system and one part of it is WCDMA. High Speed Packet Access (HSPA) is combination of HSDPA (downlink) and HSUPA (uplink). HSDPA provides a smooth evolutionary path for Universal Mobile Telecommunications System (UMTS) networks allowing for higher data capacity. It supports increased peak data rates of up to 14Mbps in the downlink and 5.76Mbps in the uplink. It is an evolution of the W-CDMA standard, designed to increase the available data rate by a factor of 5 or more. One can say that HSPA is enhancer of UMTS. It allows mobile communications devices such as cell phones using the UMTS network to achieve data transfer speeds of up to 14 Mbps. HSPA is commonly referred to as 3.5G. It is an air interface standard. UMTS uses W-CDMA as the underlying air interface. It allows UMTS network to achieve data transfer speeds of up to 14 Mbps. It is an additional feature of UMTS. Are you searching for dual-SIM Android phones? You are at the right platform. Mobile Matinee is pleased to sort out lists of dual-SIM Android phones for you. With increasing popularity of Android phone and need of two SIMs, the mobile makers have paced up the manufacturing of dual-SIM Android phones. Now, you can stay in Android-age and connect with your people in a way you want! Following are some popular dual-SIM Android phone. Spice Mi-350n – SpiceMi-350n has GSM + GSM dual SIM capabilities. The hardware specifications of Spice MI-350n are same as Spice Mi-350 with some improvements in camera department and a new UI. 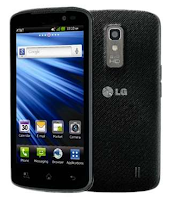 Highlights: 2.8” resistive touch display, Android v2.2 (Froyo), Wi-Fi, 2MP camera, Bluetooth. Buy it from Saholic. Tablets are changing our world. There is no question that we are seeing a great shift in the technology. Remember the days 20 years back, when we were happy with computer at home and now we are playing with portable tablet computer. Technological environment has changed drastically in last two years. It is to note that the tablet world was started by Apple with iPad, available for around Rs 26,000 in India. Now, there are many players in the market. Tablets are available with gamut of features and in various price ranges. Interestingly, a London base company DataWind with the IIT, Rajasthan has developed tablet just of Rs 2500, called as Aakash tablet. Quad, an Indian company based in Hyderabad is manufacturing the product. It is world's ultra low cost Tablet PC. Price – Rs 2,500. For applications, the Aakash will have access to Getjar, in place of Android Market. It is 7" Touch Screen LCD display Tablet PC, which works with 3G and Wi-Fi. Its price is Rs 5,999. The device is available in White color. Reliance has coined its tablet with attractive data plan. However, the tablet is also available without the data plan. Its price is Rs 12,999 without any data plan. Spice Tab Mi-720 is a 7 inch tablet with voice calling feature. It has 2MP primary and VGA secondary camera. It offers 3G, Wi-Fi & USB connectivity. Its price is Rs 12,999. For review of Spice Mi-720 Click. 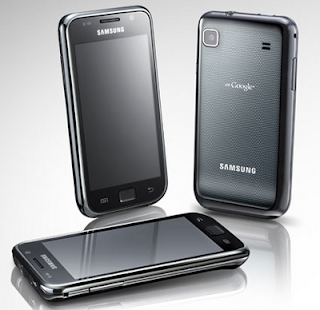 Announced in the first quarter of 2011, Samsung Galaxy S Plus I9001 is comes with gamut of features; it has maintained its charisma even in the last quarter even though many smart phones have been launched. Its 4 inch Super AMOLED capacitive touch screen phone along with the crisper TouchWiz 3.0 UI and Android OS, make it a superb device. Stay in touch via instant messenger, MMS, SMS, email, or social networking websites. Picasa and YouTube come preloaded in the phone. Embedded ‘Social Hub’ acts as communication hub. Android Market is gives you gateway to go with your favorite social networking sites. There are galaxies of social networking apps in the Android Market. The phone runs on Android v2.3 Gingerbread operating system. With Java, OMA DRM v1.0, 1.4GHz processor, and Adreno 205 GPU, the device ensures smooth and fast performance of multiple applications simultaneously. Nokia has launched its new baby, the Nokia 700 with Symbian Belle OS with Nokia ClearBlack display and many other features at a very competitive pricing. Will the new Nokia’s baby survive or lost in the huge market of smartphone? Let’s find out the features and highlights of Nokia 700. When we take a look of new Nokia 700, we get to conclude that Nokia has not worked much on the personality of the device. It is not unusual. Nokia doesn’t pay heed to the look and feel aspects. Most of the devices of Nokia are dull and similar in appearance. Nokia 700 is pretty much simpler. The edges are coned with curved top and bottom lines. The device is compact in every dimension with nice metal touch. The good thing however, it is a sleek and light phone with only 9.7mm thickness and 96gm weight, respectively. The most exciting feature of the phone is its HD screen with AMLOED and ClearBlack technology, which demonstrates great legibility even in sunlight. ClearBlack display offers 160 degree viewing angle. The new Symbian Belle OS in the phone gives it six customizable home screens to personalize the device in a way you want. Each homescreen has its individual wallpaper. 1GHz CPU and 512 MB RAM for smooth performance of multiple applications. 5MP camera and LED flash. With dedicated shutter key, lock button, and volume rocker, it is easy to operate the phone. The phone has universal 3.5mm audio jack. Small screen: Most of the smartphones are coming with bigger screen. A standard 3.5 inch display is now acceptable by users. Nokia 700 has 3.2 inch display. Fixed focus is not impressive. Autofocus is a must have feature of a good camera phone. Lack of full Flash support in the browser can be a leg-pulling. Limited availability of 3rd party apps in Ovi Store is a major drawback. Today’s users expect to access more than thousands of apps as in Android Market. There is no preloaded app for editing office document. Most of the phones are now providing hot-swappable microSD slot. Nokia 700 does not have hot-swappable microSD slot. The phone needs to booted each time to when the memory card is taken out. widgets, and more can quench the smartphone lovers. Nokia 700 is winner if the software is big thing and is a looser if looks matter. Look is not bad, just it is not fresh. Daily notices, e-mails, questions and answers and details of house proceedings are printed on paper. The availability of iPad will reduce the use of paper. MPs can check out information in digital format using iPads. The secretariat is also planning to make selective areas of the Lok Sabha Wi-Fi-enabled to let the members make good use of the iPads. The upper house of parliament, the Rajya Sabha, is already Wi-Fi-enabled in parts.